As both the U.S. military’s dependence on space and the threats posed to space systems have grown, some in Congress and the space community have called for sweeping changes in how space forces are organized, trained, and supported within the military. Both the House and Senate versions of the National Defense Authorization Act for FY 2018 contain language that would significantly reorganize military space forces and authorities. This one-day symposium, hosted by the CSIS Aerospace Security Project, will explore how the military space enterprise should be organized given the increasing importance of space as a warfighting domain. Speakers will examine previous efforts to reorganize military space forces, problems that need to be addressed, and the pros and cons of different organizational models that have been tried in other parts of the military. Hover over the album below to view photos from the event. 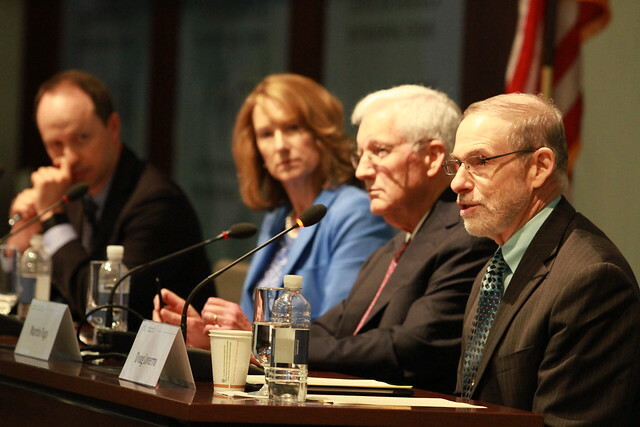 Check out photos from all CSIS events on the Center’s Flickr page.